Skip back 20 years to the dawn of South Africa’s democracy in 1994, a topsy-turvy time of rebirth, euphoria, bewilderment and anxiety. The broken and divided city of Cape Town was in desperate need of a positive unifying force, and Manenberg’s Jazz Café, which was opened on Adderley Street amidst this climate, was that very thing – it was a place where nothing mattered but a love for rhythm, a place where people of different backgrounds could, in founder Clarence Ford’s words, “encounter each other culturally” for the first time post-Apartheid. Great stars like Hugh Masekela, Miriam Makeba, Jimmy Dludlu and Lucky Dube graced the stage there, everyone from judges to politicians to bar owners dined and drank there and the country’s cultural diversity was celebrated against the backdrop of beats and ballads. But time took its toll on this authentic, no-frills hub of joy and soon it was pushed out of the city bowl and into the very tourist-orientated V&A Waterfront. Finally, in April 2008, under the weight of huge financial pressure, Manenberg’s closed its doors, leaving a gaping hole in Cape Town’s entertainment scene and in the hearts of many. Now, almost exactly two decades later, that hole has been filled. 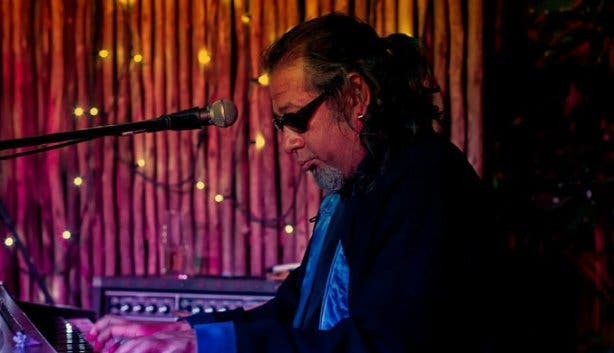 On 6 December 2014, the much-loved institution re-opened within the quiet, leafy Camissa Courtyard on Strand Street, and though the times have changed somewhat, the laidback jazz club’s aims are largely the same. The location of the reborn Manenberg’s is also significant. 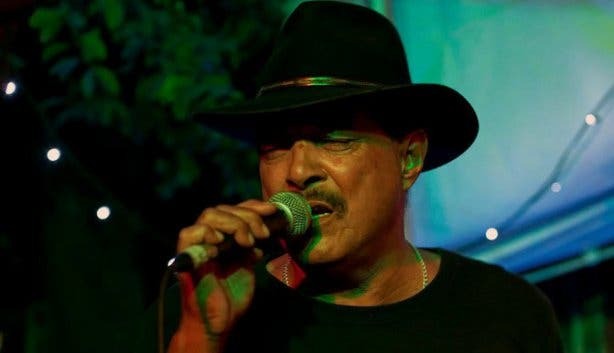 The live music venue sits on top of one of the branches of the now-underground Camissa River, which was once a life-giving force for the indigenous Khoi people (Camissa, which means ‘the place of sweet waters’ is actually the Khoi name for Cape Town). Needless to say, this very spot was a site of communal gathering hundreds of years ago and a great source of physical and spiritual fulfilment for the natives of past, and today, Manenberg’s aims to bring folks together and feed the souls of people in a similar way. Not to mention, the jazz club’s base in a peaceful courtyard dotted with ancient trees and strung with twinkling fairy lights does also help to make it an alluring place to while away an evening. Though it’s just a restaurant during the day, the eatery transforms into a lively pocket of song and brassy melodies every night of the week, with the line-up of performers including current greats like renowned guitarist Allou April, jazz legend Alvin Dyers, respected composer and pianist Hilton Schilder and celebrated band N2. 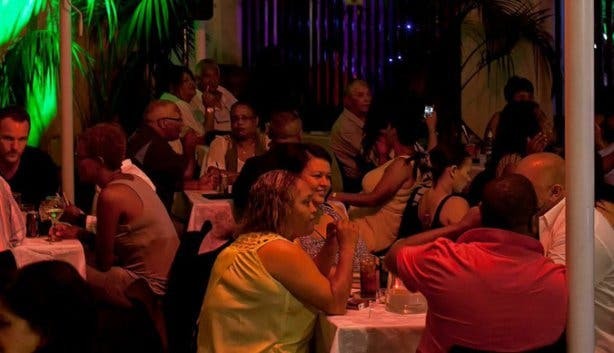 The club is laid out like a dinner theatre with restaurant tables scattered in front of the stage, so patrons can sit back and enjoy local wine and full-flavoured food while they take in the tunes of music masters. In line with the historical significance of the venue and its location, the menu reflects the various influences on Cape cuisine and, thus, features options like classic braai dishes, seafood plates and fragrant curries that hark back to the time of the slave trade in South Africa. So, visitors can get a taste of the nation’s heritage through both the fare on offer at Manenberg’s and the rhythms and harmonies. It’s undoubtedly a place to pay homage to the past, but within the same breath, just like when this institution rose up back in 1994, it’s also a place to celebrate a positive, unified future. Tip: If you plan to visit Manenberg’s any evening after 7pm, it’s highly recommended that you book at least a week in advance to secure a table. To do so, call the number below. 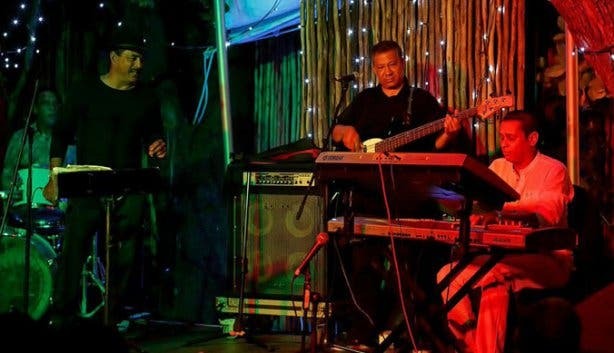 The Bill: Visitors are asked to pay a cover charge when visiting Manenberg’s for live jazz in the evenings. This entrance fee is R60p/p on Friday and Saturday nights and R50p/p on all other nights of the week. Eager to discover other places to listen to live tunes? Have a look at our guide to music venues in Cape Town.